“Today we’re announcing a new way to navigate these connections and make them more useful. We’re calling it Graph Search, and it starts today with a limited preview, or beta…..
Graph Search will appear as a bigger search bar at the top of each page. When you search for something, that search not only determines the set of results you get, but also serves as a title for the page. You can edit the title – and in doing so create your own custom view of the content you and your friends have shared on Facebook…. With Graph Search you combine phrases (for example: “my friends in New York who like Jay-Z”) to get that set of people, places, photos or other content that’s been shared on Facebook…..
Emily Price from Mashable also shared on the live blog: “Bing is integrated into Facebook, so you can do web searches within Facebook — so “Weather in Menlo Park” will pull up weather results from Bing“. The key thing to understand is that privacy settings are now even more important. Here is a link to a post about the privacy settings: https://www.facebook.com/about/graphsearch/privacy. Here is a link to sign up for the Facebook Graph Search Beta waiting list: https://www.facebook.com/about/graphsearch. 1. This is an effective way to search for people, places and photos your friends are sharing (and the Bing integration is a great feature). If you are looking for restaurant, vacations, TV shows, movies, music etc. I would find this very useful. 2. Assuming you can only search for information your friends are sharing (via the Privacy statement), this still means that you need to feel comfortable that anything you share on Facebook (Page likes, photos, conversations) etc will now be more easily found by your friends. So if you have an obsessions with anything Hello Kitty, it is important to understand that all of your friends on Facebook can easily figure that out. I suggest that anyone using Facebook read the section on How privacy works with Graph Search. 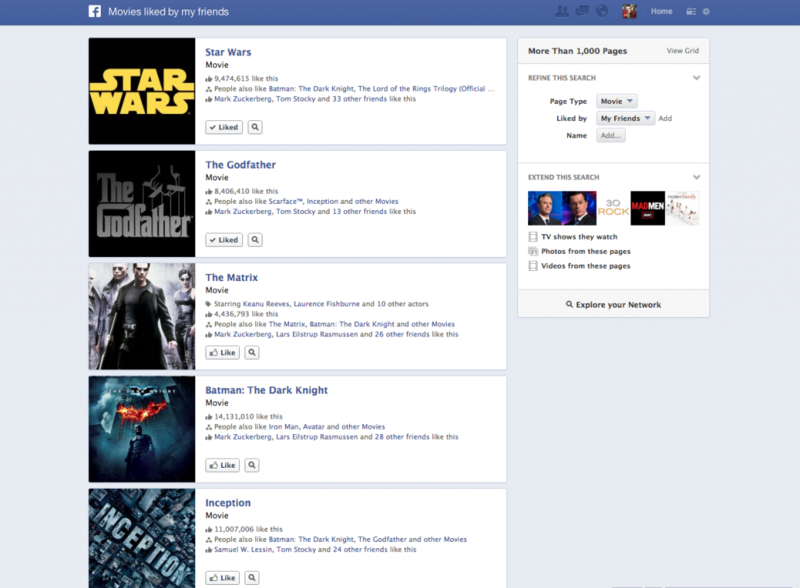 I will spend more time reading over the new information on Facebook Graph Search and add more of my thoughts. PLEASE share your initial thoughts.